Dr. Iadarola enjoys fitting contact lenses, especially the hard to fit or challenging patient. He takes the necessary time to properly fit all patients with the appropriate contact lens for their individual needs and is always available to ensure comfortable contact lens wear. Dr. Iadarola employs the latest in contact lens technologies including silicone-hydrogel, plasma rigid gas permeable, daily disposable and SynergEyes contact lenses. He especially enjoys the challenge of improving the ocular health and contact lens wear for patients with Keratoconus. 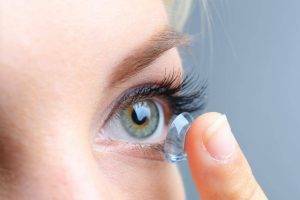 How to easily insert and remove your contact lenses.